© 2002, © 2018 by Paul Freeman. Revised 9/27/18. 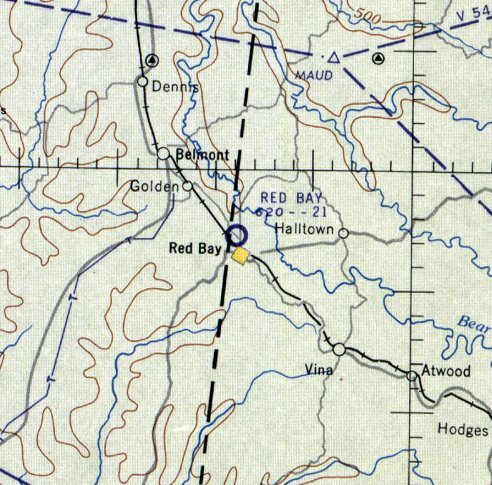 Red Bay Airport, as depicted on the February 1960 Chattanooga Sectional Chart. nor on the February 1955 Chattanooga Sectional Chart. The earliest depiction which has been located of Red Bay Airport was on the February 1960 Chattanooga Sectional Chart. 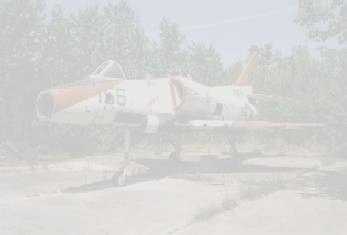 It depicted Red Bay Airport as having a 2,100' unpaved runway. 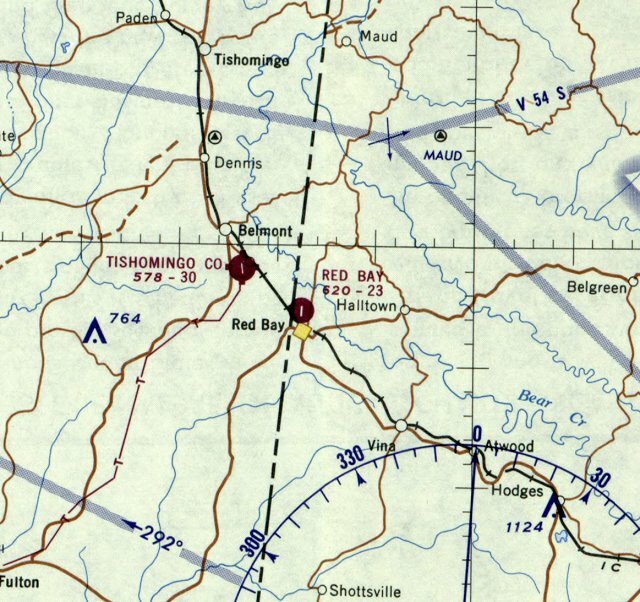 The last aeronautical chart depiction which has been located of Red Bay Airport was on the February 1968 Chattanooga Sectional Chart. 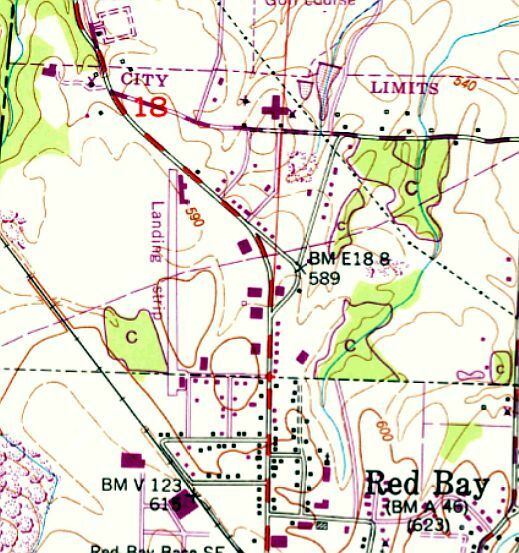 Red Bay had evidently gained a paved runway at some point between 1960-68, as it was depicted as having a 2,300' paved north/south runway. with a few small buildings on the northeast & southeast sides. 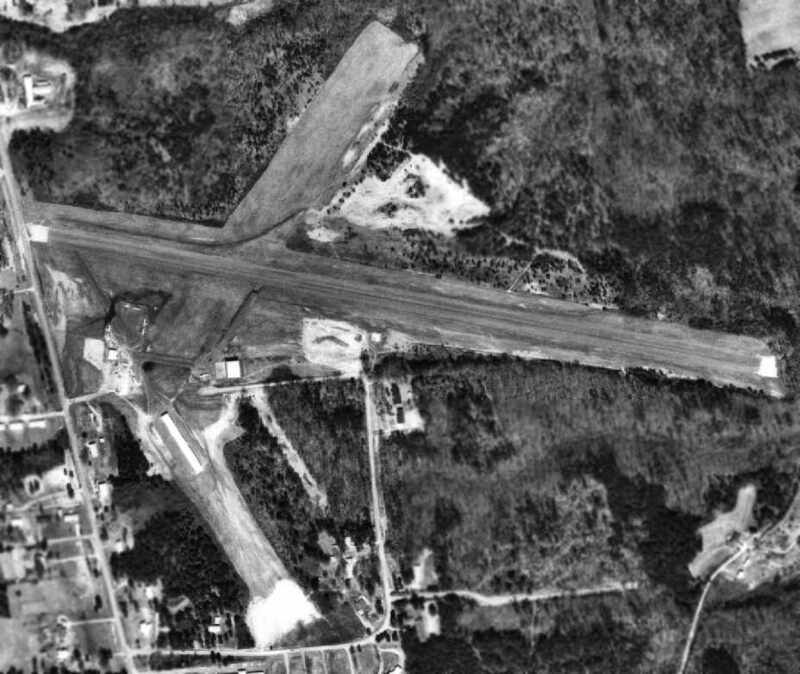 The earliest photo which has been located of Red Bay Airport was a 4/4/90 USGS aerial view. It depicted Red Bay as having a paved north/south runway. A 3/2/96 USGS aerial view looking northeast depicted Red Bay as having a paved Runway 16/34. Red Bay Airport was evidently closed at some point between 1996-2004, with the property reused by Tiffin Motorhomes. A 2004 aerial photo showed that the Red Bay Airport runway was reused to park motorhomes, with 2 buildings built over the southern portion of the runway. 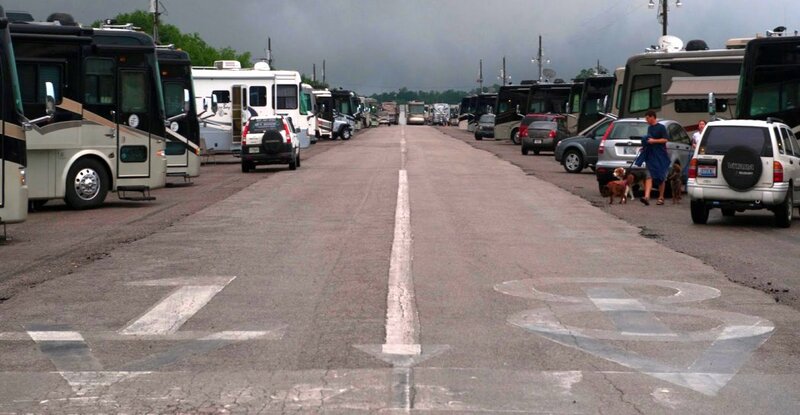 A 2010 photo looking south showing the runway markings which remain on the former Red Bay Airport Runway 18, now a motorhome campground. 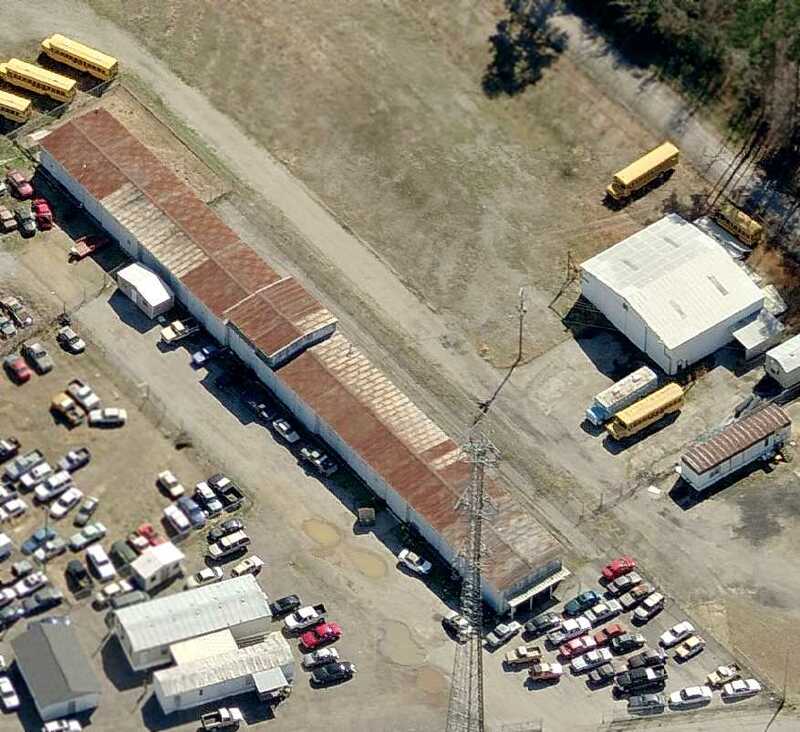 A 9/18/12 aerial view looking northeast shows the former Red Bay Airport runway, reused to park motorhomes. 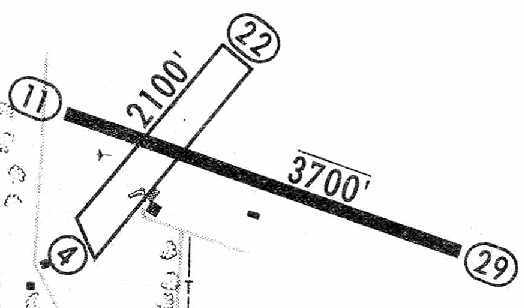 The former Red Bay Airport runway is now marked as 7th Street Northwest on street maps. Thanks to Eric Hinz for pointing out this airport. 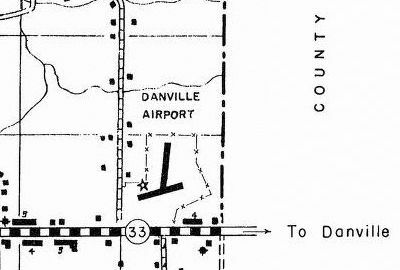 The 1949 AL DOT map (courtesy of Dallam Oliver-Lee) depicted Danville Airport as having 2 runways. 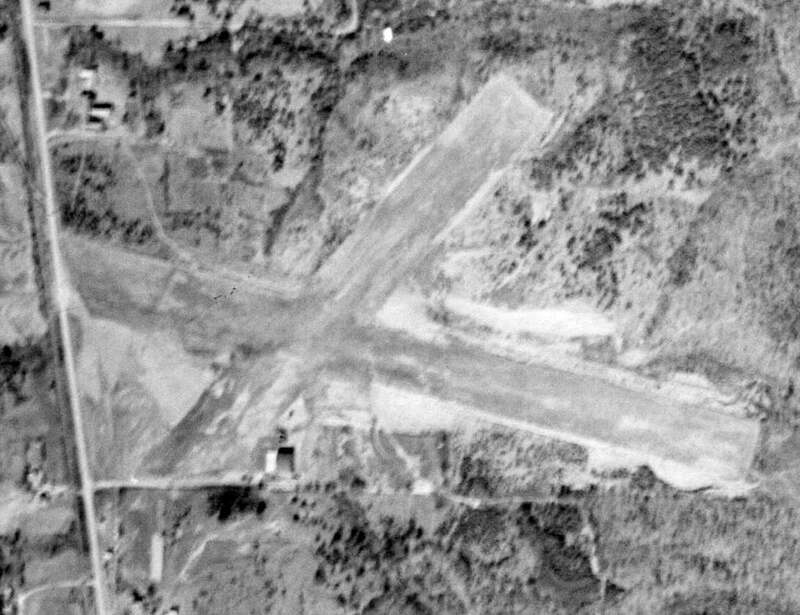 Danville Airport was not yet depicted on a 12/19/41 aerial photo (courtesy of Dallam Oliver-Lee). 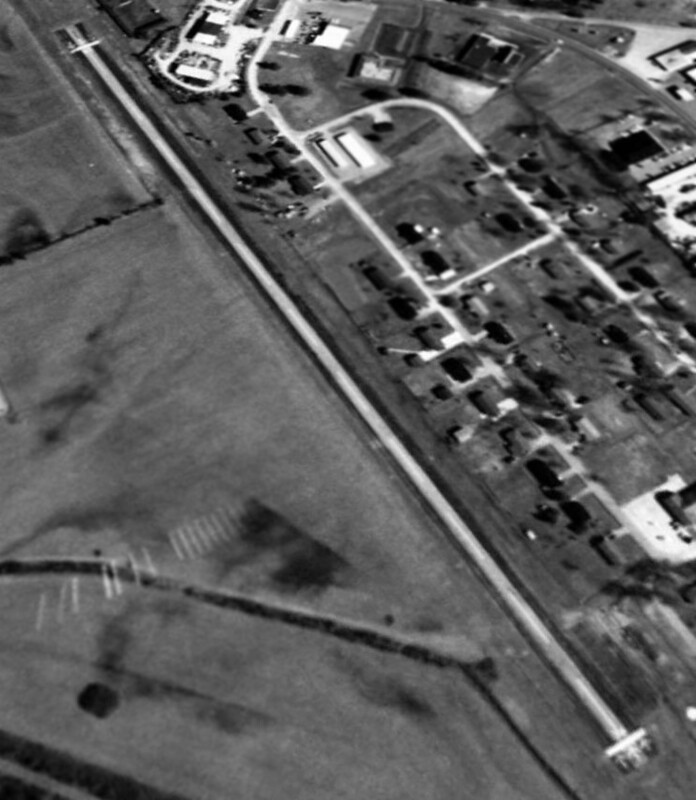 as one of at least 4 satellite airfields which supported operations at Courtland AAF. which depicted Danville Airport as having 2 runways. The earliest photo which has been located of Danville Field was a 10/12/53 aerial view (courtesy of Dallam Oliver-Lee). 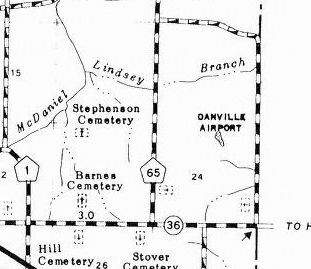 It depicted Danville as having 2 unpaved runways, each with a parallel taxiway. 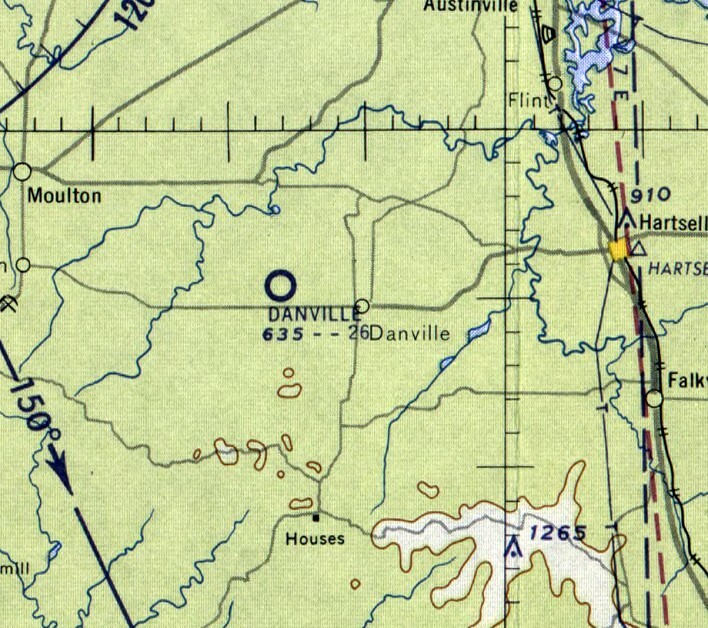 Danville Airport, as depicted on the 1958 USGS topo map (courtesy of Dallam Oliver-Lee). 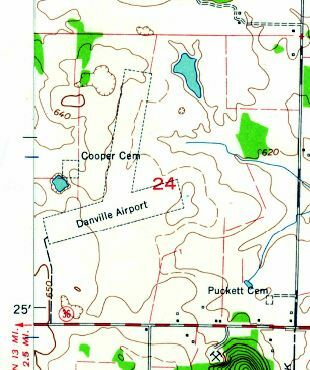 depicted Danville Airport as having 2 unpaved runways. 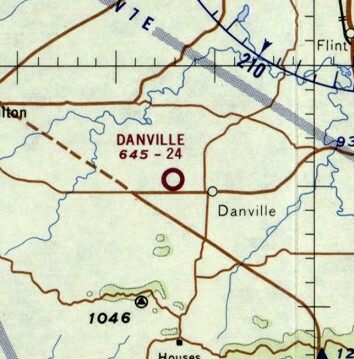 depicted Danville Airport as having a 2,600' unpaved runway. was on the February 1968 Chattanooga Sectional Chart. It depicted Danville as having a 2,400' unpaved runway. 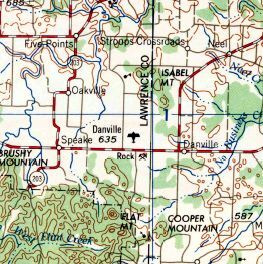 The last depiction which has been located of Danville Airport was on the 1986 AL DOT map (courtesy of Dallam Oliver-Lee). as it was no longer depicted on the 1989 USGS topo map (courtesy of Dallam Oliver-Lee). 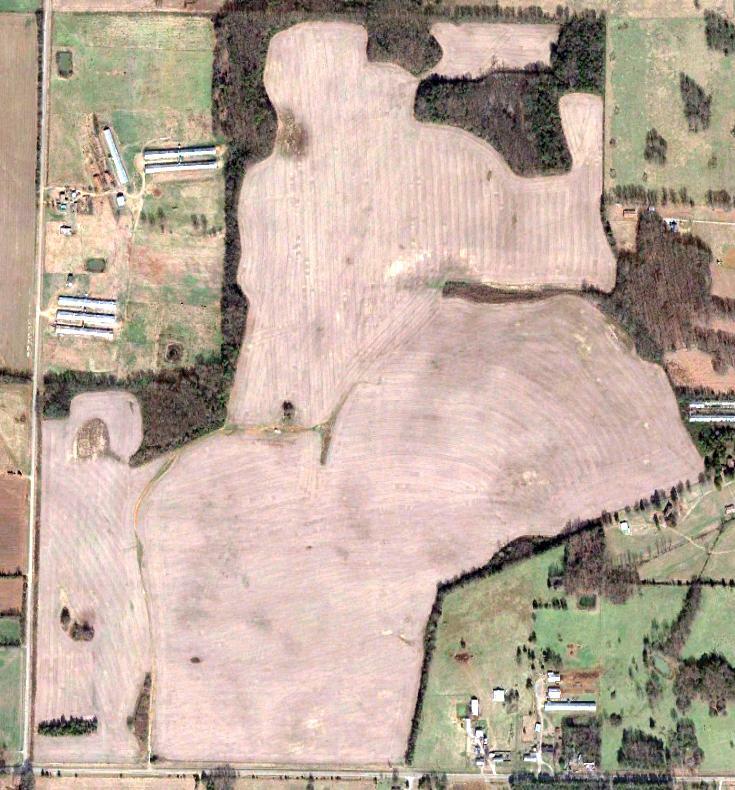 As seen in a 12/12/12 aerial view (courtesy of Dallam Oliver-Lee), not a trace of Danville Airport remains at the site. A 1937 photo of the Jasper Airport hangar under construction (courtesy of Rob Grant). as it was not yet depicted on the 1937 AL DOT map (courtesy of Dallam Oliver-Lee). showing its hangar under construction. was on the June 1941 Birmingham Sectional Chart (courtesy of Chris Kennedy). 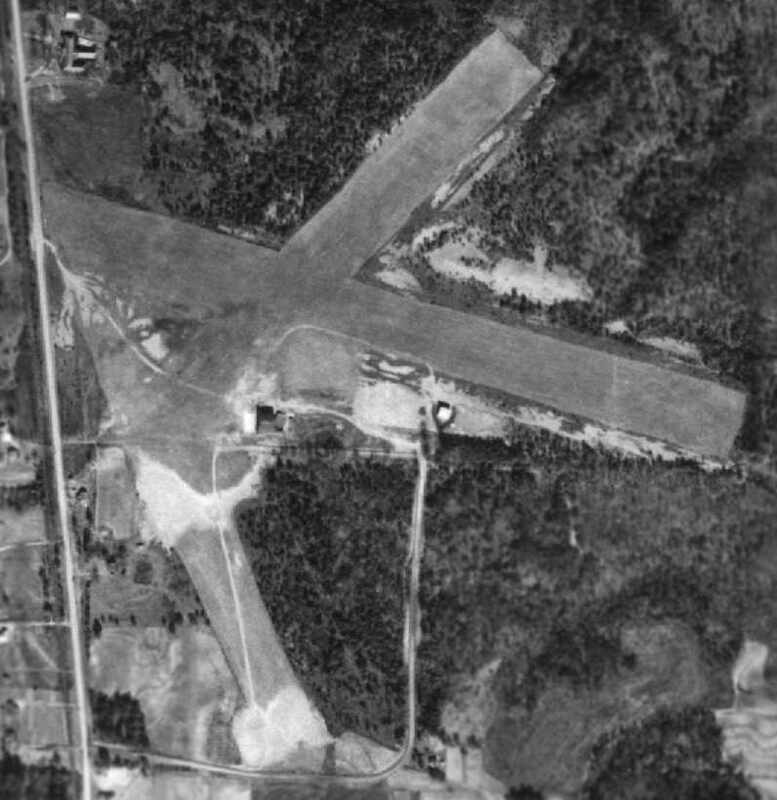 It depicted Jasper as a commercial or municipal airport. was a 1/31/43 aerial view looking north from the 1945 AAF Airfield Directory (courtesy of Scott Murdock). It depicted Jasper Airport as having 2 sod runways. as that is how it was listed in the March 1944 US Army/Navy Directory of Airfields (courtesy of Ken Mercer). It described Walker County Airport as having a 3,100' runway. as a 178 acre rectangular property having 2 sod runways, measuring 3,100' WNW/ESE & 2,100' northeast/southwest. 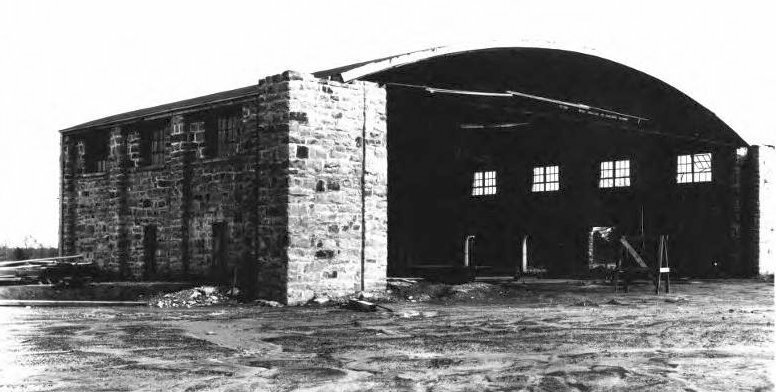 The field was said to have a single 76' x 62' wood, steel, and stone hangar. 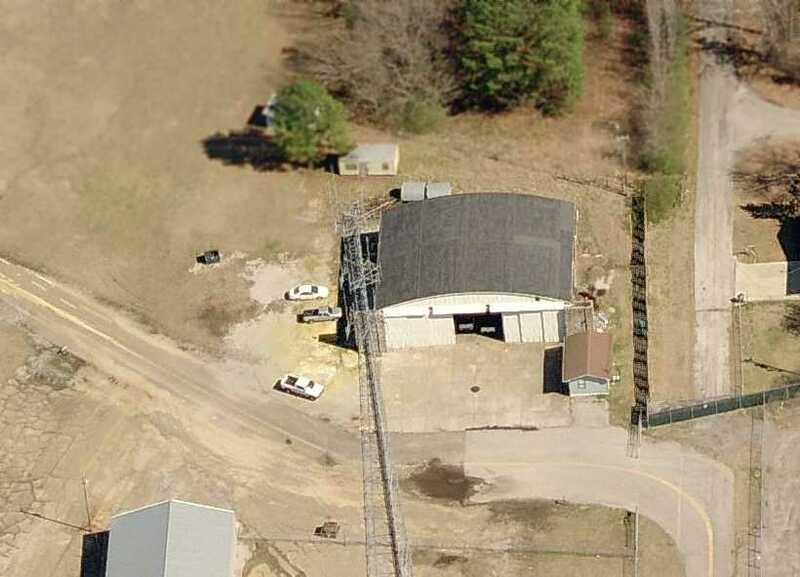 Walker County Airport was described as being owned & operated by Walker County. 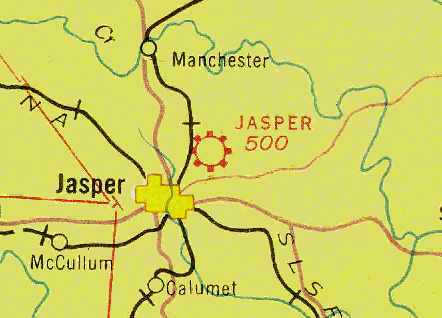 depicted Jasper as having 2 unpaved runways, with some small buildings on the south side. 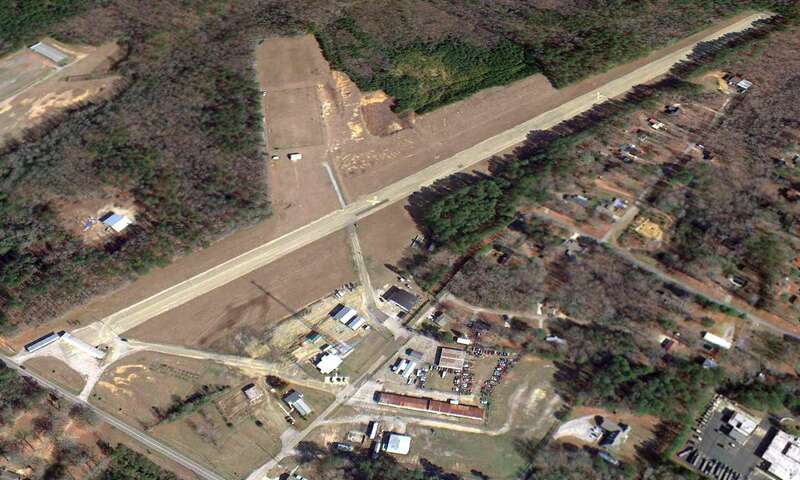 depicted Walker County Airport as having 3 unpaved runways. 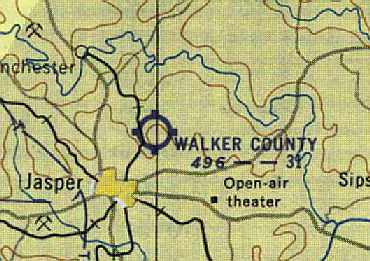 Walker County Airport, as depicted on the August 1954 Birmingham USAF Sectional Chart (courtesy of Chris Kennedy). with several buildings or hangars just south of the runway intersection. a 2,750' sod Runway 4/22, and a 2,850' sod Runway 15/33. The operator was listed as Jasper Flying Service. and a 2,100 sod Runway 4/22, with 2 small buildings on the south side of the field. The manager was listed as Ellis Haynes. was on the October 1968 Birmingham Sectional Chart. 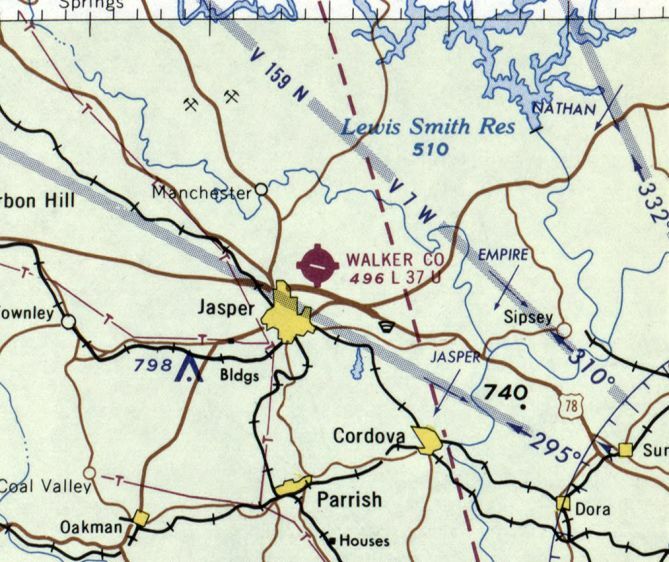 It depicted Walker County Airport as having a single 3,700' paved northwest/southeast runway. 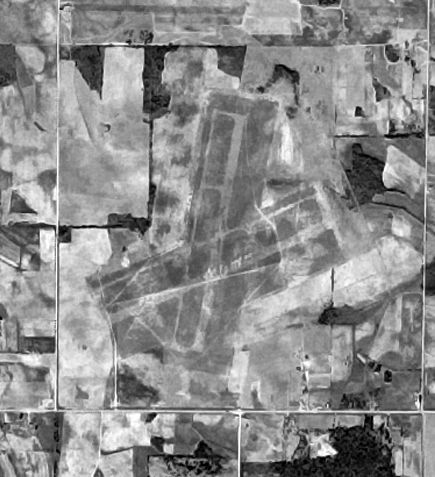 A 1972 Soil Conservation Service aerial view of Walker County Airport (courtesy of Thomas Kallsen of the University of Alabama Map Library). By the time of this photo, the main (east/west) runway had apparently been paved. with a row of T-hangars & an aircraft parking area along its middle area. A total of at least 10 aircraft were visible parked outside. John Dendy recalled, “Jasper Airport... I flew out of there in the early 1970s. The main runway had been paved. But if there was a sod runway, the FBO never said anything about it. 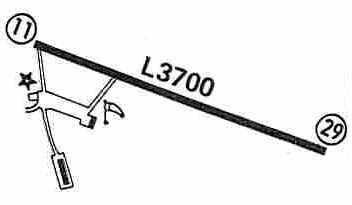 The main runway was all there was – not even a taxiway. The northwest end, near the buildings, was flat for about 100 yards, but then the runway was downhill the rest of the way. The southeast end was about 50 feet lower than the northwest end; it looked as if you were flying into a forest. Regardless of wind, takeoffs were downhill, landings were uphill. the 3,700' paved Runway 11/29 was apparently the sole runway - apparently the other two sod runways had been abandoned. Taxiways were depicted as leading to a ramp on the southwest side of the field, with two buildings. described the Walker County Airport as having a single 3,700' asphalt Runway 11/29. The operator was listed as Jasper Aviation. as it was labeled "Landing Strip (Abandoned)" on the 1984 USGS topo map (courtesy of Dallam Oliver-Lee). It had been replaced by a newly constructed Walker County Airport, 4 miles northwest. including the full length of the paved runway, and all of the hangars & other airfield buildings. A building had been built across the western end of the main runway, though. 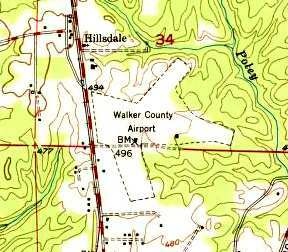 The original Walker County Airport was still depicted as an abandoned airfield on 2002 aeronautical charts. with a radio tower in the foreground which was built over the center of the former ramp. 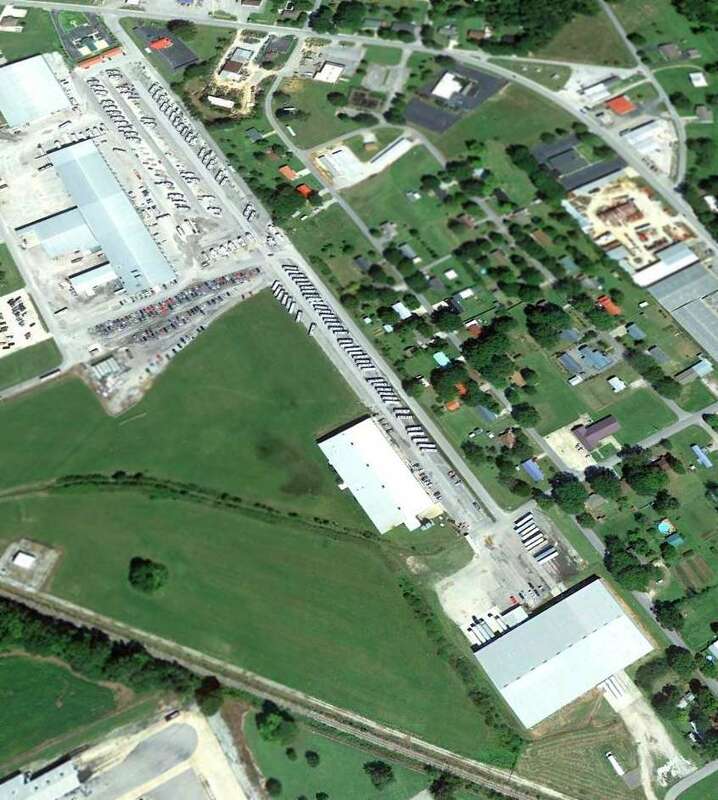 A circa 2003 aerial view looking south at the row of former T-hangars & another smaller hangar on the south side of the former airport. A 12/12/12 aerial view looking northeast (courtesy of Dallam Oliver-Lee) showed Jasper Airport to remain mostly intact. Jasper Airport is located east of the intersection of Bevill Field Road & Airport Road.